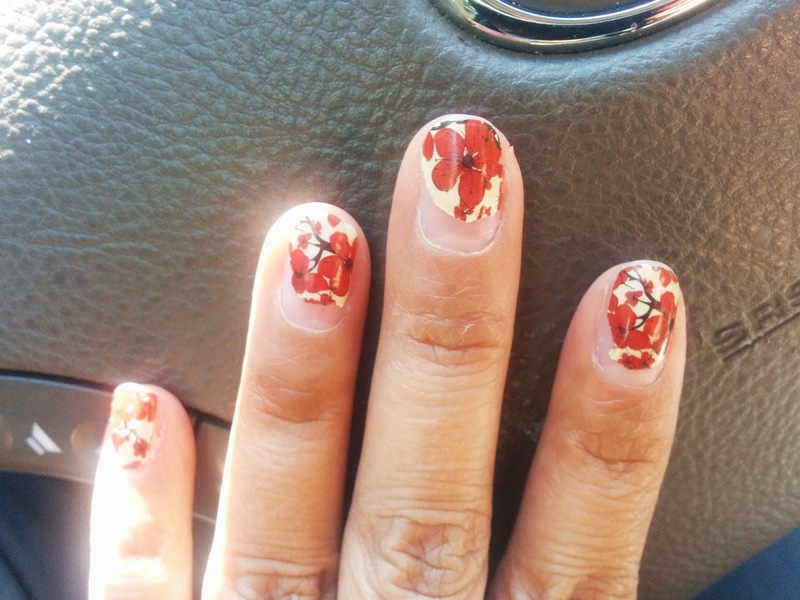 After last week's nail sticker failer, I decided to give it one more go. Like I mentioned, I have a whole bunch of unopened packs of nail stickers when I went through a frenzy haul after they first came out. 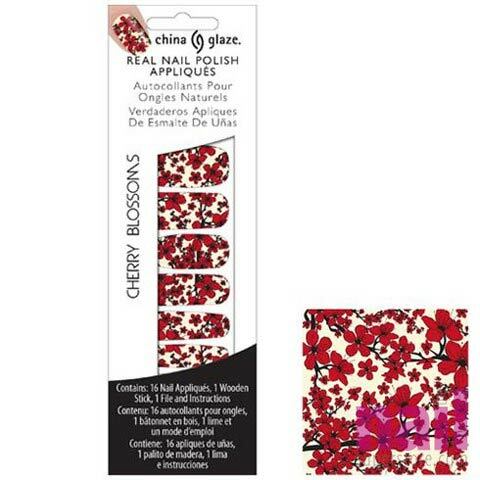 I've been wanting to try this gorgeous Cherry Blossom design from China Glaze for the longest. Check out my results! Isn't this design gorgeous? I've been saving them for a special occasion but after last week's fiasco I wanted to give them a test run before hand. The nail design is very busy, so I wanted to pair it with a solid color polish to see how it would like as an accent nail. I'm using OCC's Lustgarten, a gorgeous metallic tomato red. On one hand, I applied all of the stickers. I did find that some of the sizes for the nails were a little off but I made it work. 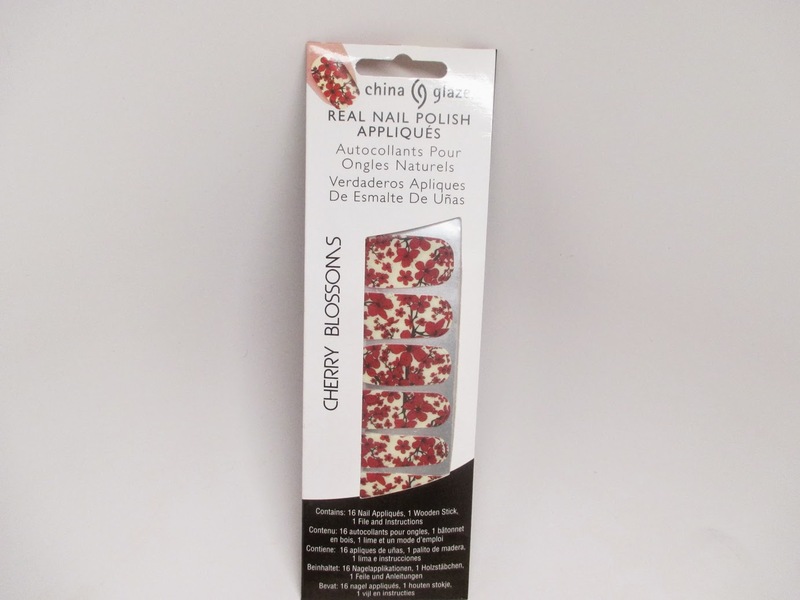 The stickers applied easily to the nails - the consistency was thinner and more nail polish like than the Essie Stickers. It was also pretty easy to file off the excess. 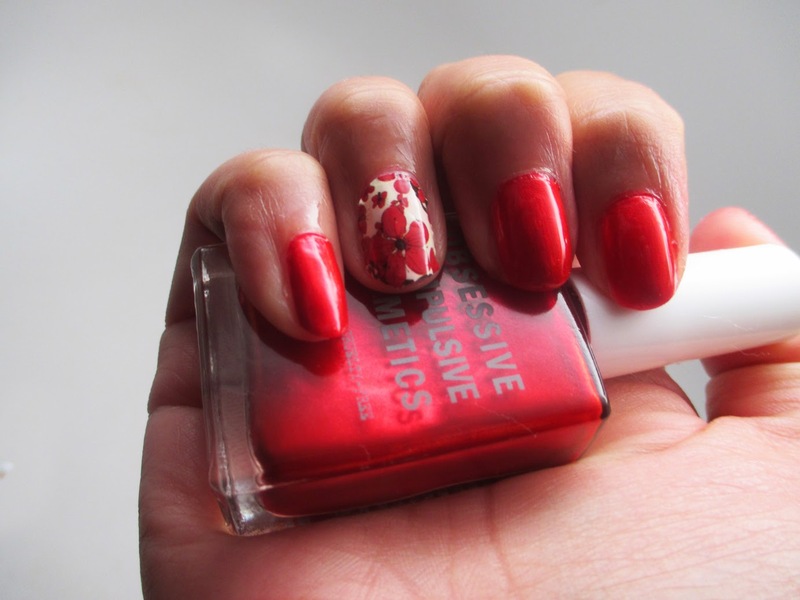 On the other hand, I applied the OCC Polish and placed the nail sticker on the ring finger for an accent. I really liked how it came out. The OCC polish was really smooth, pigmented and non-streaky. I needed just two coats. I was very satisfied with application. After one week, I noticed minimal wear, yay! 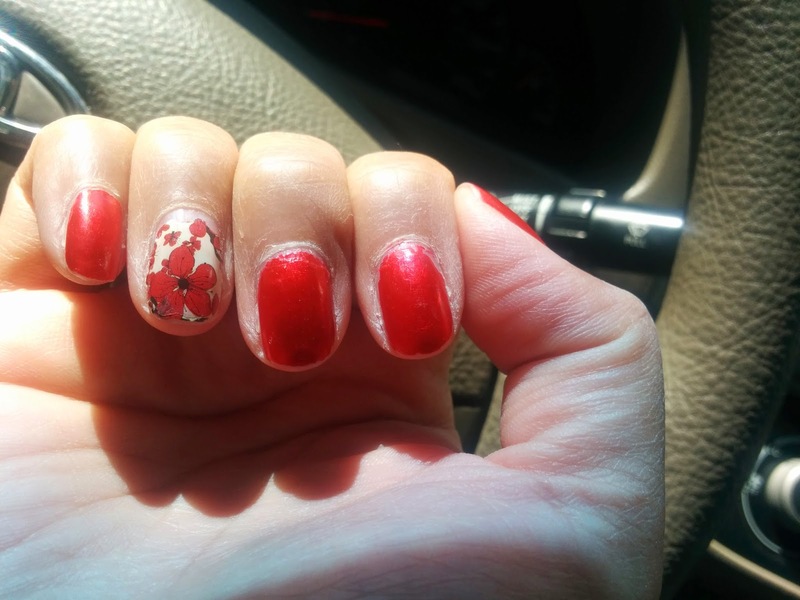 The nail stickers did lift up a bit on the base of two fingers, but once that flap peeled off the rest remained intact. The OCC polish also held up really well with just a bit of wear on the tips. 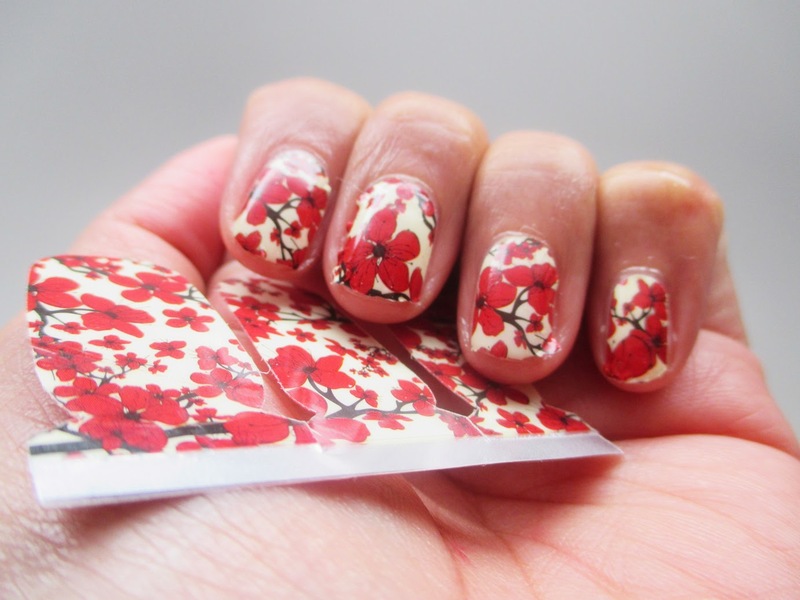 My faith in nail stickers has been restored! I'm also going to use more of my OCC polishes.